NAS Backup Software Utility. Free Download. Backup Files to NAS. ViceVersa PRO is a high-performance backup software utility for NAS devices. It will automatically copy, replicate, sync, backup files from one or more computers (PC, Laptop, Workstations, Server), to one or more NAS. 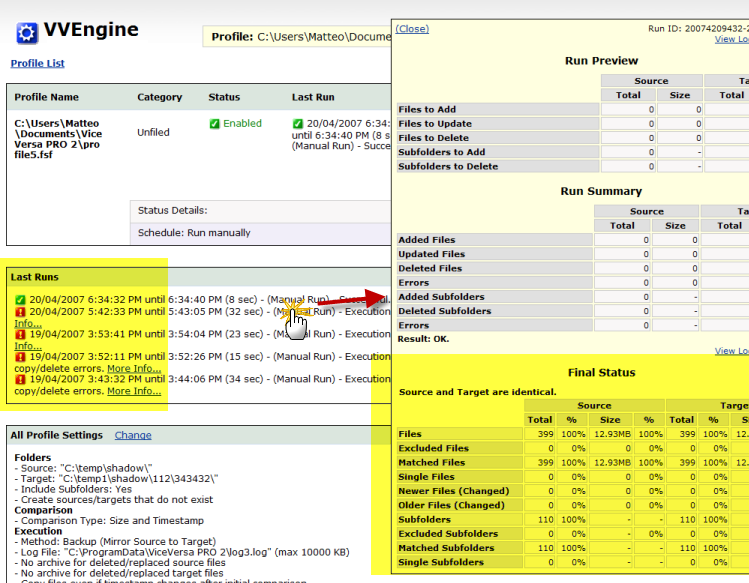 Server to NAS backup and also NAS to NAS backup are supported in Real-time, Scheduled or On-Demand mode. Using ViceVersa PRO you can easily make a straight copy of a set of files for backup purposes. 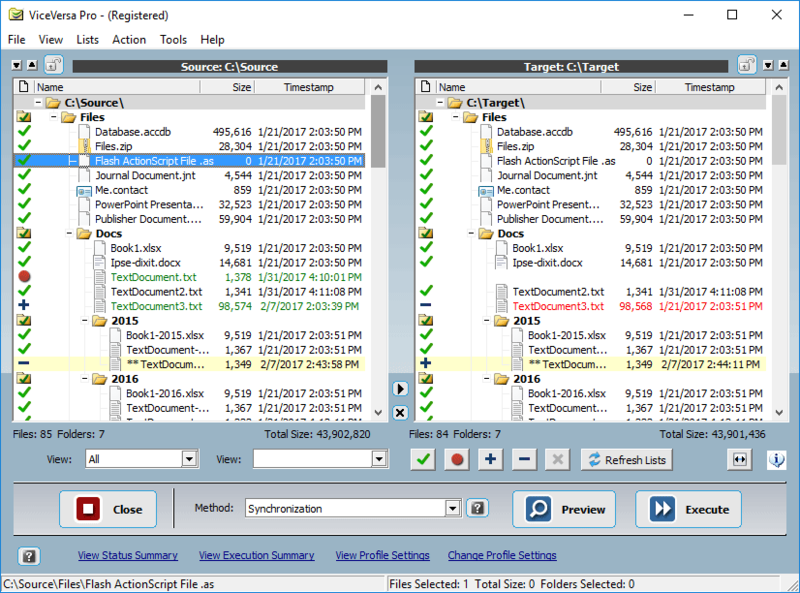 After the initial copy, ViceVersa PRO will automatically copy only files that are new or files that have changed since the last copy, so you can have an up-to-date and exact replica of all your files on the NAS, file by file and folder by folder. File and folder names, file content and file time stamps will remain intact. Fast. 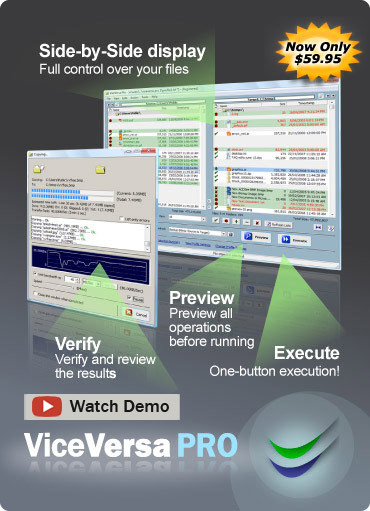 ViceVersa PRO is optimized for speed. Efficient. Only new or changed files since the last backup are copied each time to the NAS device. No Proprietary Format. Files are copied to the NAS in their original format. 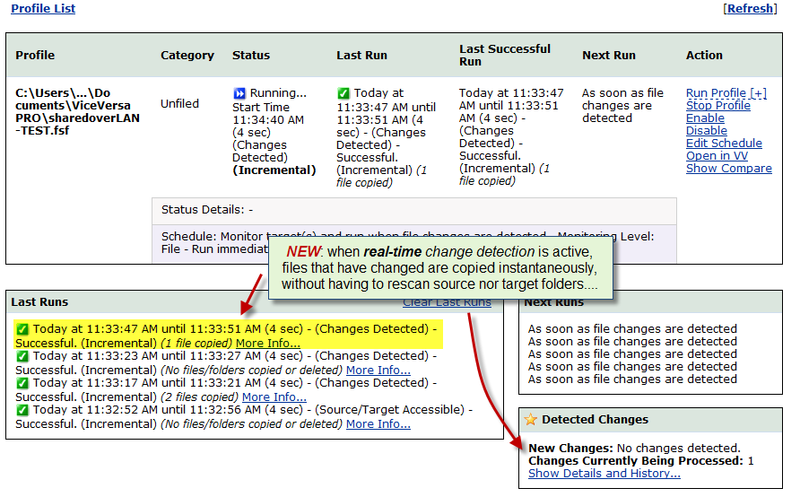 No recovery routine needed: copied files are always there on the NAS as a 1:1 mirror. Tera-bytes of Data. No limits on file size or total file amount. ViceVersa can easily manage tera-bytes of data and millions of files. Value for Money. Try ViceVersa PRO today. It is FREE for 30 days. Then purchase it for only US$ 59.95. Server license just US$ 129.95. System Requirements: Windows 10, Windows 8.1 / 8, Windows 7, Windows Vista, XP. Windows Server 2016, 2012 (R2), 2008 (R2), 2003 (R2), 2000. ViceVersa PRO software works with all NAS devices, including Maxtor Simple Storage, Buffalo TeraStation, CoolMax, D-Link, Hammer, Galaxy, QNAP, HP MediaSmart, Iomega StoreCenter, LaCie, Linksys NAS, NetApp StoreVault, NetGear ReadyNAS, Seagate Mirra, SimpleTech, Synology, Thecus, Tritton Simple NAS, Zyxel.